The SpotVault is an unprecedented archive of weekly ratings information. Here's what is included on SpotVault pages as of 2015-16. Here's some info on the Renewology tables and charts for 2016-17. 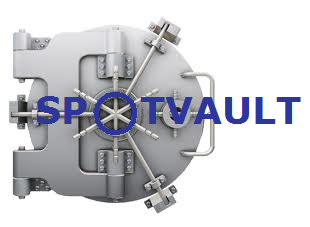 The Vault covers all primetime shows on the big five broadcast networks, plus a selection of cable shows. The Vault is usually updated with the most available ratings a couple times per day. The above search covers just about every season in SpotVault history. There's also a condensed version along the sidebar (or at the bottom on smaller screens) covering only recently airing shows. SpotVault Full Shows Index - The former 'Cancelled Shows Index' now includes the most recent Vault page for every show in SpotVault history, cancelled as well as active. SpotVault Events Index - An ever-expanding list of SpotVault pages for one-off events like awards shows and holiday specials, chronicling all available ratings from the early 2000s to present. Thursday The Big Bang Theory Young Sheldon Mom Fam S.W.A.T. S.W.A.T. Monday Penn and Teller: Fool Us Penn and Teller: Fool Us Whose Line Is It Anyway? Whose Line Is It Anyway?